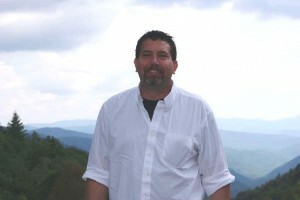 Doug King is a licensed Real Estate Broker with Mark White and Associates and a State Certified Appraiser working in Western North Carolina for almost two decades. A native of Asheville and owner of Hominy Valley Real Estate Appraisal, Doug has served the counties of Buncombe, Haywood, Henderson, and Madison. Doug has been married for 28 years and has two grown children. He spent about 15 years coaching youth league baseball and softball. His hobbies include restoring and building classic cars and motorcycles, and riding his motorcycle every chance he has. If you want a broker that knows property values and is concerned with getting you the best deal whether buying or selling a property, then Doug is the agent for you. Give him a call today and find out what he can do for you. And always note, our commission fees are almost always negotiable. Mark White is the Owner/Broker of Mark White and Associates. He was born and raised in Hendersonville, NC and is a graduate of Hendersonville High School. He is also a graduate of Warren Wilson College, Western Carolina University Real Estate School, Missouri Auction School and NC State University Mechanical School. He has 25 years local experience as a real estate broker and appraiser of real and personal property. He has 24 years experience as an auctioneer. 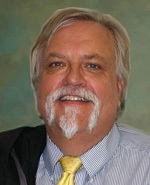 He has taught real estate pre-licensing courses at Blue Ridge Community College. He also owns and operates many businesses in Hendersonville. Mark is a member of the Hendersonville Board of Realtors, the North Carolina Board of Realtors, the Nation Association of Real Estate Boards, the National and State Auctioneers Association, and the National Associations of Certified Real Estate Appraisers. Mark is a member of First Unity Methodist Church and past Trustee, and Member of the Oasis Temple. He is also a lifetime member of the Hendersonville Shrine Club, Shriner of the Year in 1989, member of the Scottish Rite Valley of Asheville, Kedron Lodge #382, and Past President of Pardee Hospital Board of Trustees.